is a 4-year bachelor degree program specially designed for international students. Towards the degree, students have to take a minimum of 128 credit hours including 100 credits for various courses on Chinese Language, Cultures, Society and Literature and 28 credits for General Education. The department accepts 36 international students this year. The application for Fall 2014 should be submitted by March 15, and application for Spring 2015 should be submitted by October 31, 2014. 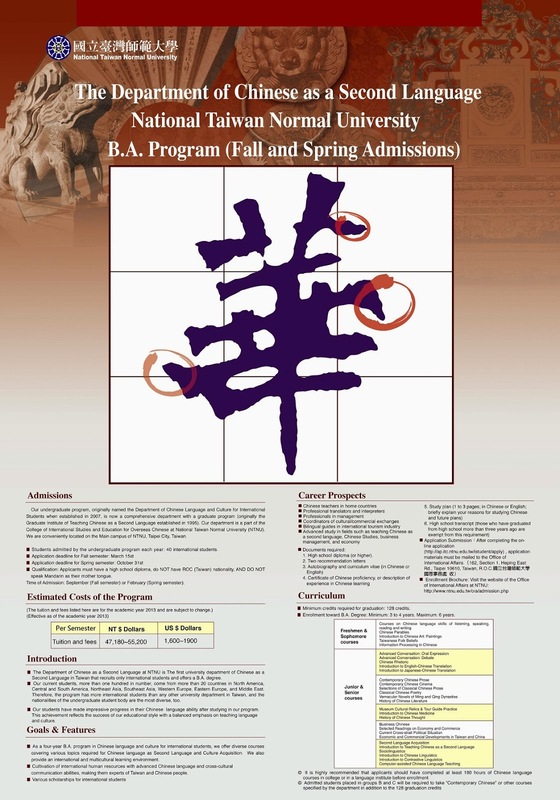 To find more detailed information about admissions, please visit our homepage （http://www.tcsl.ntnu.edu.tw/）. 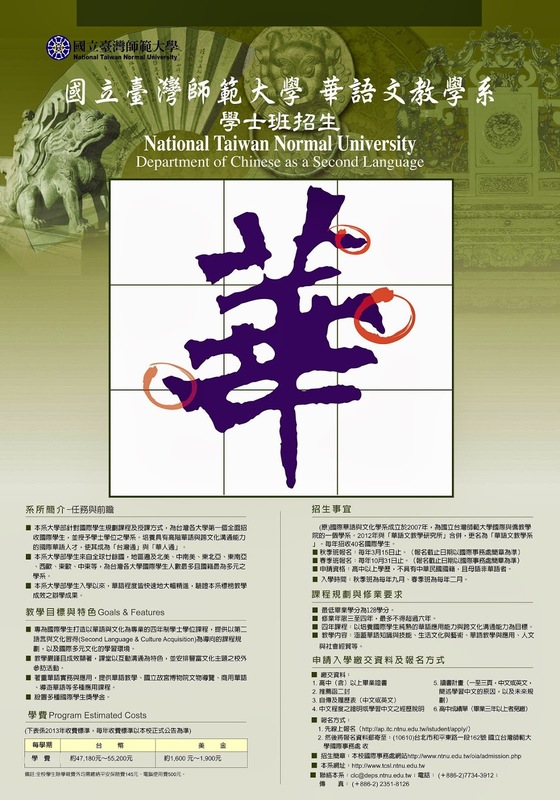 n Qualification: Applicants who have a high school diploma, do NOT have ROC (Taiwan) nationality, AND do NOT speak Mandarin as their mother tongue. n Time of Admission: Fall semester in September; Spring semester in February. 1. High school diploma (or higher). 3. Autobiography and curriculum vitae (in Chinese or English). 4. Certificate of Chinese proficiency, or description of experience in Chinese learning. 5. Study plan (1 to 3 pages; in Chinese or English; briefly explain your reasons for studying Chinese, and future plans).